Ah, the perennial new versus old debate. And while we're aware a degree of BMW M135i fatigue may be setting in (don't worry, it's not long for the PH world) we thought we'd put it against a very real-world used choice many PHers might consider. 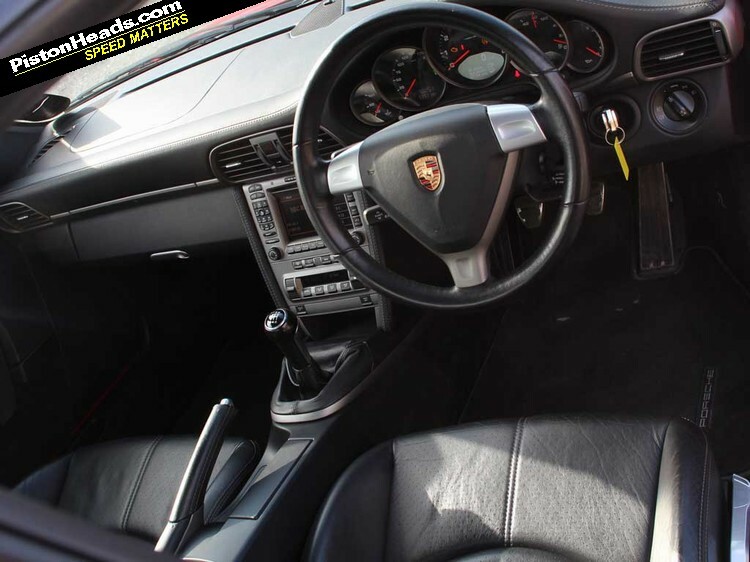 Step up a car that, in one form or another, will probably have cropped up on your used shopping list at some point - the secondhand 911. 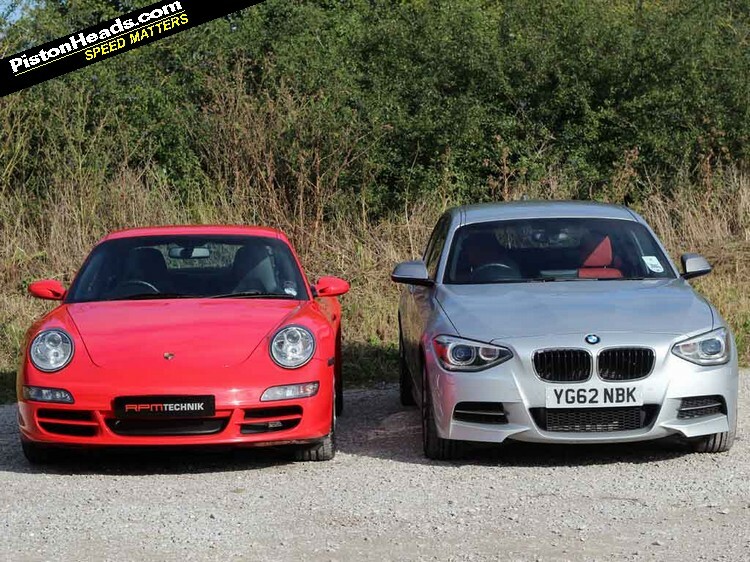 Proper sports car versus over-engined, over-hyped hot hatch? Beauty and the beast? You can frame it many ways but, as you'll see, the comparison here is perhaps closer than any we've done so far. But you could have a used Porsche for that! So far the BMW has been able to overcome its divisive looks and demolish most rivals with its combination of a charismatic power advantage, keen pricing, a nod to practicality and rear-driven dynamics. But while undeniably fun to drive and brimming with character at speeds both everyday and naughty, it's all of a sudden left feeling a bit one-dimensional against the 911. What needs to be said here? Just gripping the steering wheel at a standstill tells you all you need to know about how these cars differ dynamically. The BMW's fat-rimmed helm is numb, artificially weighted and slow-witted compared with the slim to the touch Porsche one, pleasingly unadorned and button free here. And once on the move the feel and feedback are, of course, second to none. The BMW's turbocharged grunt makes it the more effective overtaking weapon and its massive performance is more easily accessible. But it's a blunt tool compared with the Porsche, whose peak torque is just about coming on stream where the BMW's tails off. It's all about driving style. The BMW delivers instant, albeit synthetically enhanced gratification; the 911 makes you work for it. 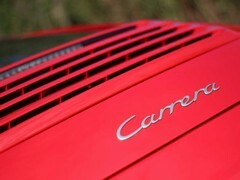 But the rewards are there and the Porsche is in a totally different league when it comes to making you feel special. Which badge would you rather sit behind? See above. As ever the 911 is a car you could happily tootle around in every day, commute in like the BMW and never climb out of feeling like you'd had to make any compromises in terms of comfort or practicality. 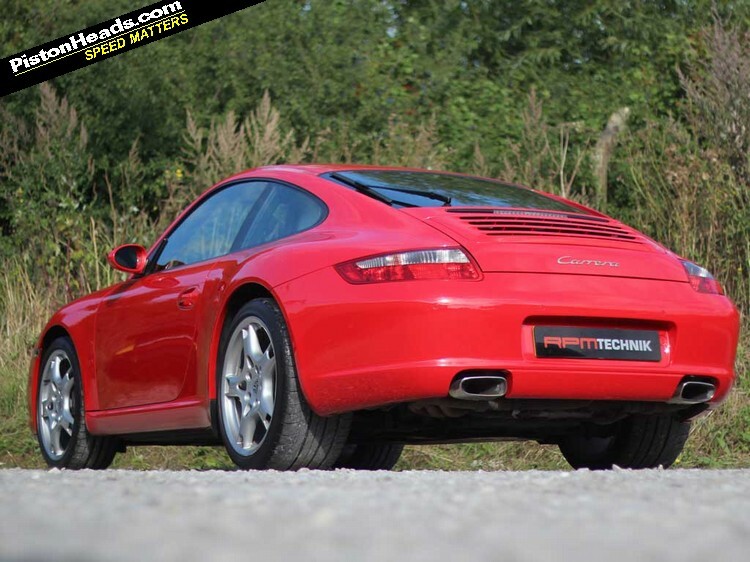 Don't overlook transmission choice though; Porsche's pre-PDK Tiptronic isn't a patch on the BMW's eight-speed auto, so be prepared to put that left leg back into action to properly enjoy an early 997. 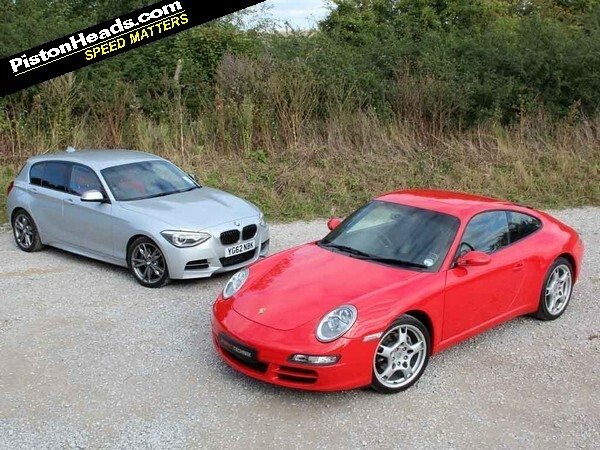 But while the M135i is a car you may respect the 911 is a car you could love. We've praised the M135i's Q-car appeal many times and its combination of lunatic pace and dull as ditchwater looks remain a selling point. 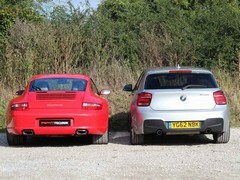 Until you park it next to a Guards Red 911. Against the Cayman we compared it with previously the BMW's main counterpoint was its all-round usability and rear seats. Basically, if you've got young'ns the 1 Series was your only choice. And if your passengers are bigger you can forget both - put a six-footer in either of the BMW's front seats and full-size rear-seaters aren't going to be happy. 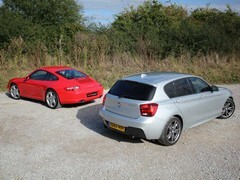 Indeed, subjectively the usefulness of the rear seats in these two cars is only marginally in favour of the M135i. 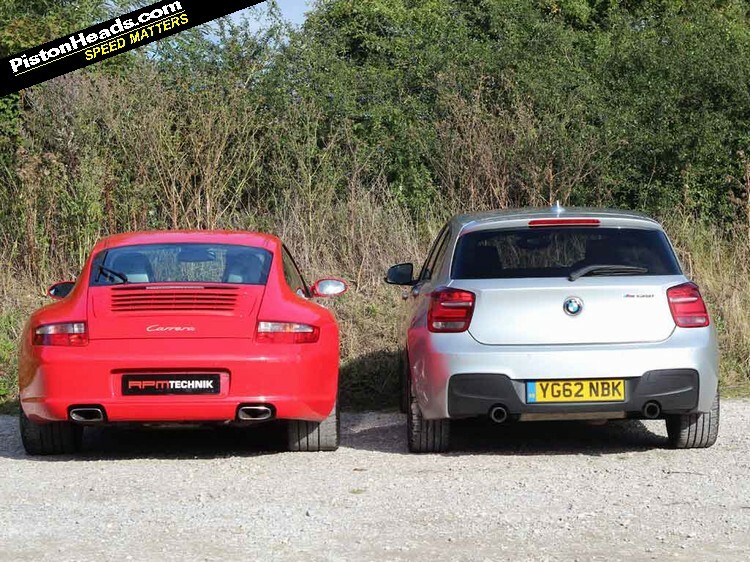 The 1 Series is still a 'normal' car with a boot but you could just about argue a case for the Carrera as an occasional family car for those with younger kids. Obviously the BMW's more modern infotainment systems and gadgets ease the daily grind somewhat and it's a comfy place to while away tedious journeys. But the Porsche isn't exactly an unpleasant place to do that either. 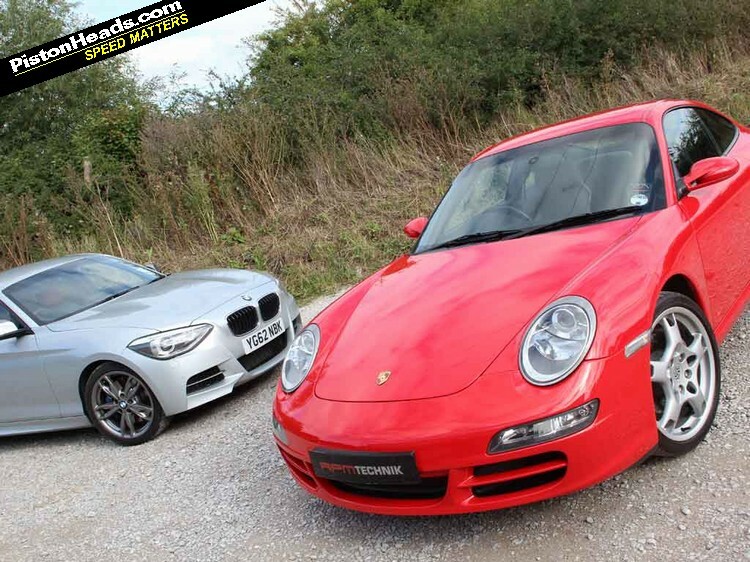 £25,000-£30,000 brings up over a hundred 997 Carreras of various types in the PH classifieds so there's plenty of choice at the kind of money many people are getting their M135is for. Of course there's a much bigger picture to consider here and pitching new against used raises all sorts of pitfalls. 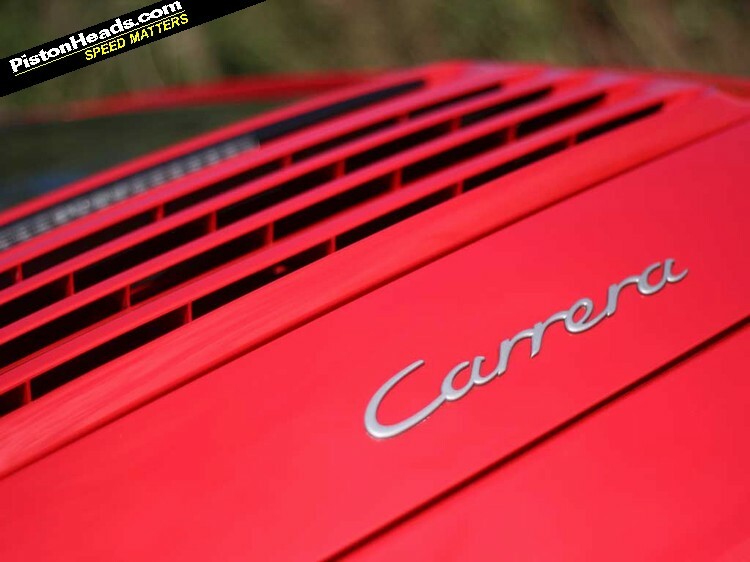 But even allowing for a maintenance slush fund of a few grand to cover any hidden surprises you can get a well-specced, warrantied Carrera like the one pictured for less than a new M135i. The question here is less about purchase price and more about running costs. An M135i trundling along the motorway in Eco Pro mode can nudge into the low 30s mpg and the 175g/km of the auto means a pleasing performance/VED ratio. Never mind the confidence that comes of driving a new car with all the warrantied confidence this should bring. Chatting with the guys at RPM Technik, with whom this Carrera is for sale, they reckon an annual budget of a grand a year to run a 911 is verging on the pessimistic, though over the course of a few years of ownership should budget for running repairs and potential four-figure bills like clutches (just done on this car, bang on the expected 60K lifespan), full sets of discs and pads and tyres. Services are officially every two years and alternate between minor and major, for which RPM charges £250+VAT and £480+VAT respectively but you'd be as well making sure it gets a basic check and oil change (around £180+VAT) on an annual basis. For what it's worth the guys reckon the 3.6 is a sturdier engine than the 3.8 too and less prone to known woes like bore scoring. You're always entering a minefield comparing new with old but unless you need a new car, are on a tight budget for running costs or need a wider range of finance options this isn't a hard call to make. Sure, the 1 Series is a tad more practical, though not as much as you'd think and if you really needed a proper boot and rear-seat space you'd be better off with the S3 or a Golf GTI. If liquidity allows it's really not a difficult choice. We'll have the red one please. 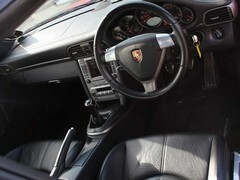 Porsche supplied by RPM Technik. No mention of IMS/RMS failures? They are the main reason why I wouldn't consider a 911 of this age that isn't a turbo or a GT3/GT2. Lol @ comparing these two!! No I haven't read the article as I don't care for the BMW one bit. Any silver 1 series looks bland to the eye and boring even parked on its own. 911, no question. It's just a nicer place to be. A pointless comparison of apples and oranges. 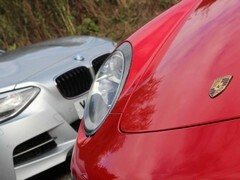 We know the M135i is good, no need to do a comparison even 24 hours. Yeeesss I can imagine BMW paying PH to see a used Porsche beat their car. WOW...the only person IMHO who would consider the Beemer as an option here is the one that never driven/owned a 911. 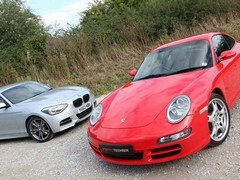 For me the 911 is far superior as driver car than the BMW. £25k for that 911. Quite amazing value with a warranty and nothing to service for another 18 months. Is this now just a running joke inside the PH office? Indeed sounds prety good to me. I quite like these "real world" comparisons far better and more useful than the usual photoshopped/make-believe drivel on most websites. I think rather than focusing on one car, regular group tests between "PH" cars would be useful especially at the more affordable end of the scale whether new or used. 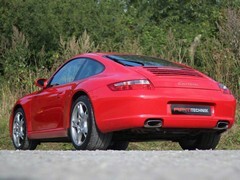 I would save up for a 997.2 Carrera GTS Coupe with Porsche Manual Gearbox and make it happen. If not a really high spec barely used M135i would be a great car as an everyday car. 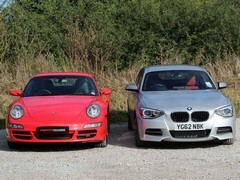 Though don't mind the new Boxster either. I'm afraid it might be my fault, see the other thread! sorry. 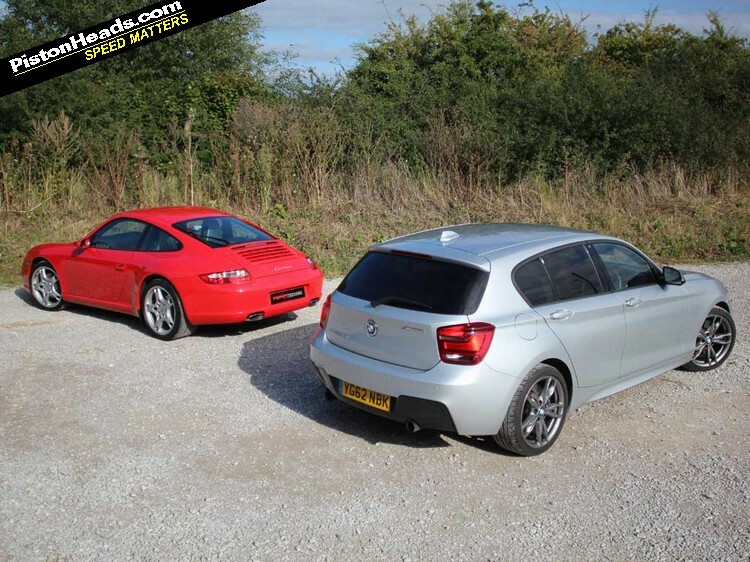 "Sure, the 1 Series is a tad more practical, though not as much as you'd think and if you really needed a proper boot and rear-seat space you'd be better off with the S3 or a Golf GTI." On a recent camping trip I managed to get 2 mountain bikes, a 6 man tent, air mattress, 2 bags, a freezer box full of beer, duvet, pillows and me and the wife in mine...this is all inside the car, no bike rack. We had quite a bit of space left over too. I can't imagine that a golf or S3 would have done any better. If not a really high spec barely used M135i would be a great car as an everyday car.